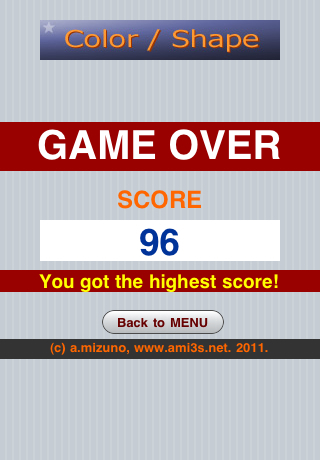 Our first NSB/AppStudio Programming Contest is now complete. There were good entries, especially considering both that the developers were new to the product, and the product itself was new. We had two categories: Business and Fun. 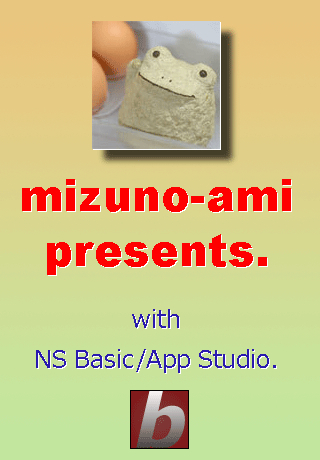 All registered NS Basic users were welcome to participate in the contest. Prizes were $100 USD in each category. 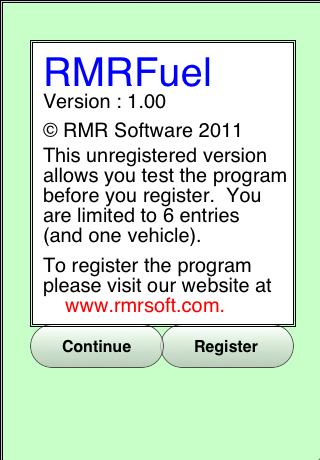 "RMRFuel allows you to monitor the fuel consumption and expenses for up to 10 vehicles. 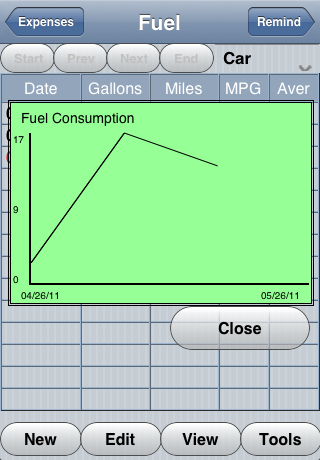 It maintains a record of Amount Paid, Cost, Gallons/litres, Distance covered and both short-term and long-term Fuel Consumption, and presents it in a text format and as a graph and as a statistical breakdown. 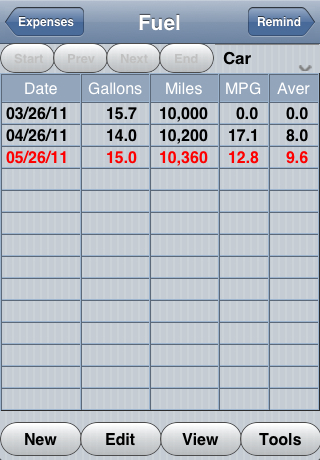 A reminder function is built in for periodic servicing, safety checks or oil changes, and a listing of all other expenses. The program is fully configurable for all international measures." 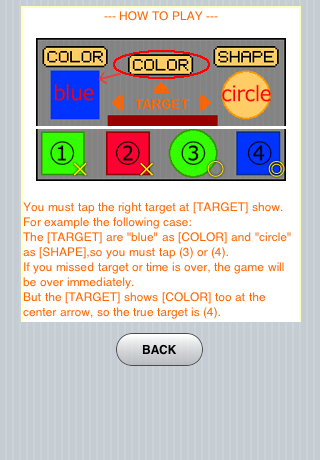 The judges say: This is a very real, very usable app. It should really be considered together with its 3 siblings. 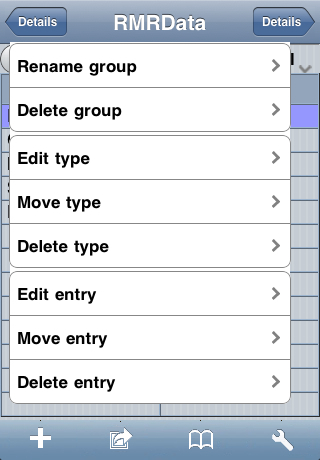 In fact, the author plans to create an integrated app. 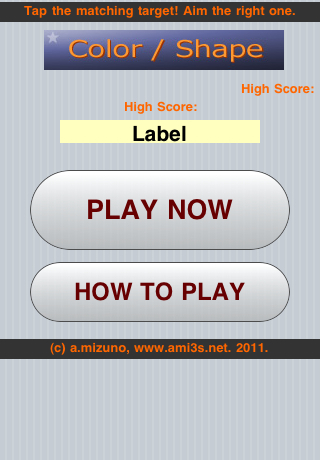 Since the entry was submitted, improvements have been made to the user interface. 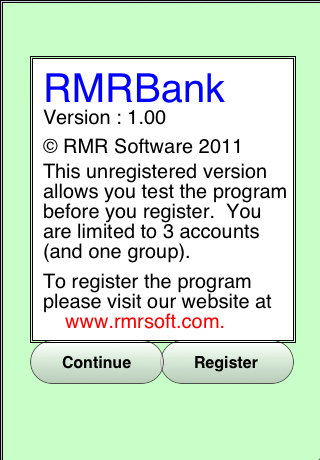 You can try the beta of the improved banking module at http://www.rmrsoft.com/RMRBank1. 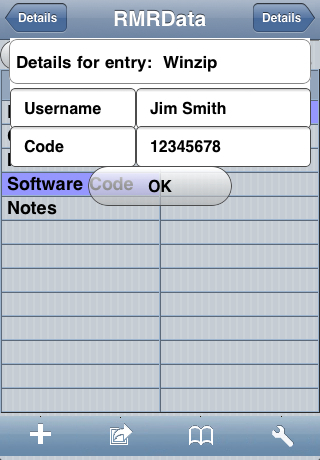 "As a long term user of NSBasic products, having used NSBasic(Palm) and NSBasic(CE) to port some of my ex-Psion portfolio across to these platforms, I found NSBasic(App/Studio) very straightforward for the initial porting of my core portfolio. Although I considered adapting the original CE code I quickly realised that the syntax differences were so many and varied that I might as well start coding from scratch, although obviously basing the programs UI and logic on the very successful and proven CE versions. This was also my first venture into the world of SQL database handling so the learning curve on that was very high." 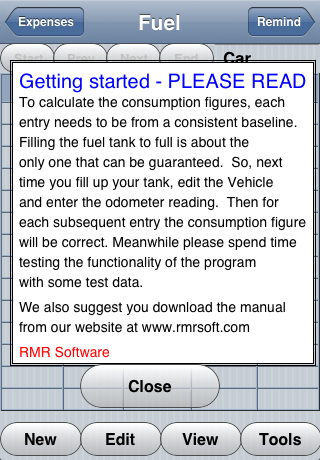 "In the event, RMRFuel took just over a month to bring to a release state, a very short time, attributable to the ease-of-use of the SDK and a very dedicated BETA tester to help me (and the fact I am retired so have plenty of time). 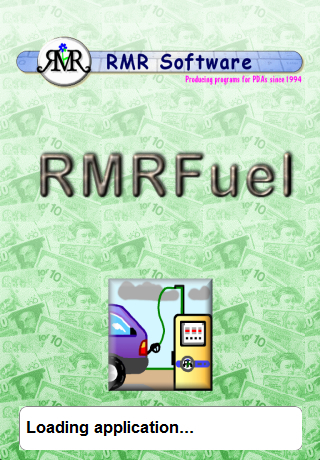 The strategy of starting with a relatively difficult program paid off when, using RMRFuel as the template, RMRHome took only a further 48 hrs to code and RMRData about a week. RMRBank, the 'flagship' program, then took about a further month as that was so much more complex." 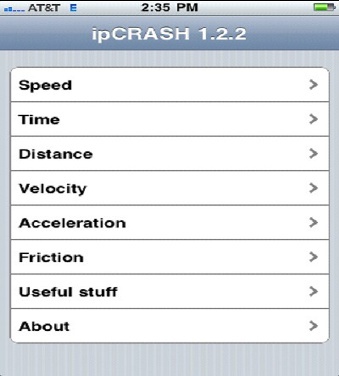 "ipCRASH is a suite of accident investigation formulae and computations. It is intended to be used by police and private crash investigators. 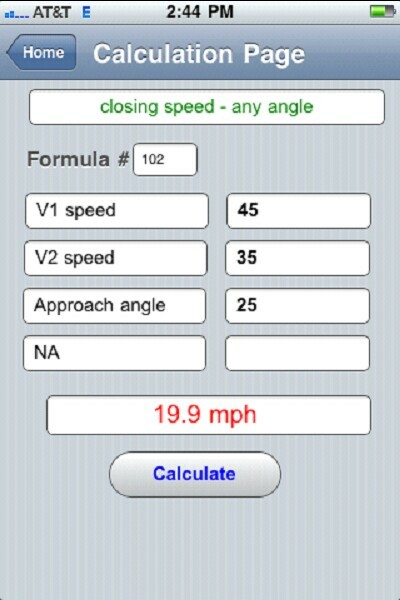 There are formulae to calculate speeds, distances, time, linear momentum, and many more. The development effort was pretty straightforward. I had an idea of what it was going to look like so it was mainly a matter of getting up to speed on the nsb software package. 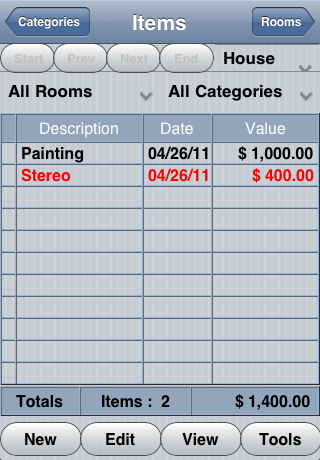 I had used nsb several years ago on some palm based projects so there were some similarities. Deploying the project to the nsb site worked out pretty well and was quite efficient. Going from idea to final product only took a few weeks working on it sporadically." 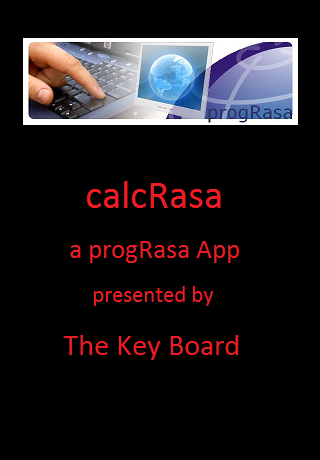 The judges say: This is a great app for small devices. 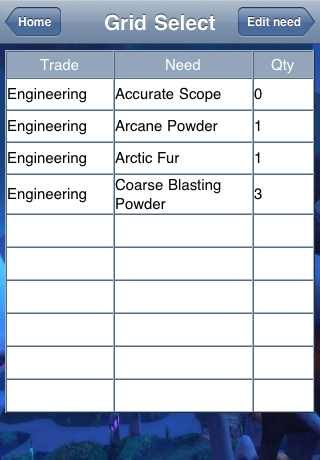 It lets investigators do on the scene analysis. 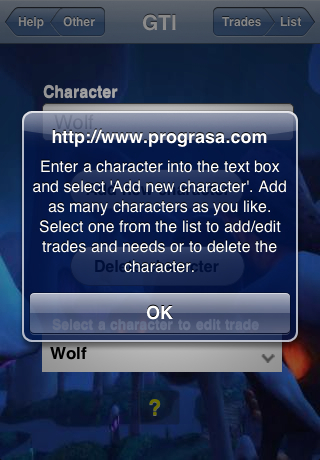 The UI is well put together - the app is already very useful. 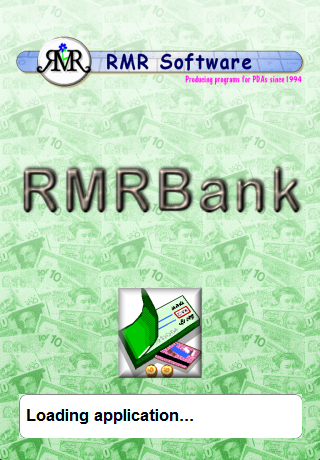 "RMRBank is a comprehensive finance package. 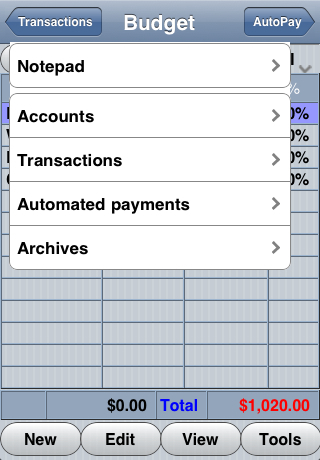 As well as the usual functions of multiple Accounts, Transaction storing and reconciling, Archiving, Automated Payments and Budget Categories, it also has full multi-currency support, optional password protection, display filters and grouping of accounts." 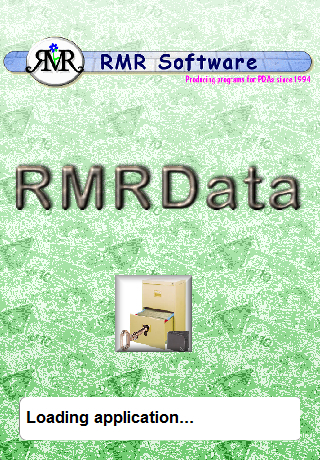 "RMRData is a secure database program for easy reference of all your important personal information. It allows secure storage, by password protection and file encryption, of details of your financial accounts, credit cards, pin numbers, lock and key numbers, usernames and passwords, website logins, software codes, passport and other personal information, and much, much, more. 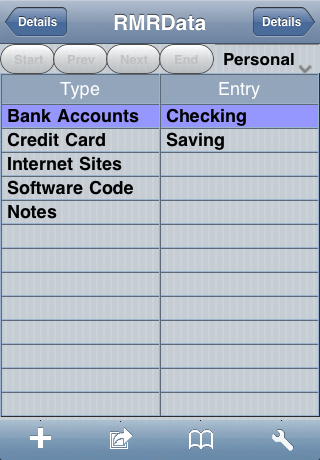 Entries are categorized under Types using various form layouts including credit card views." 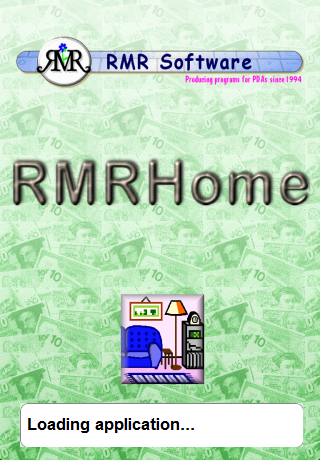 "RMRHome is based on the Quicken Home Inventory module. 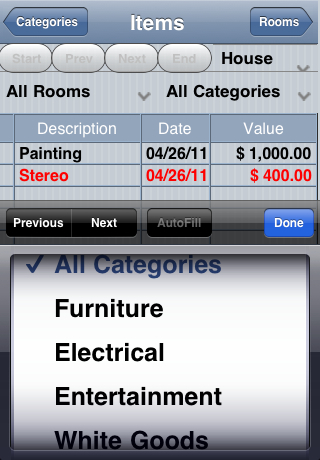 You can keep a record of your possessions, including date of purchase, description, value, and serial number. 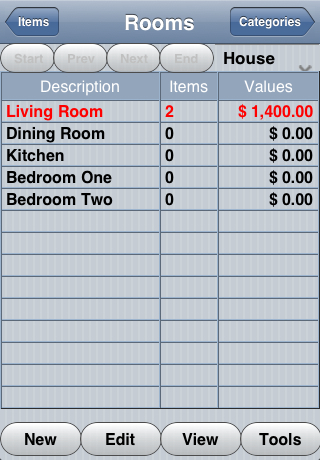 The program then allows you to view them by room or category, as well as displaying total values for insurance purposes. 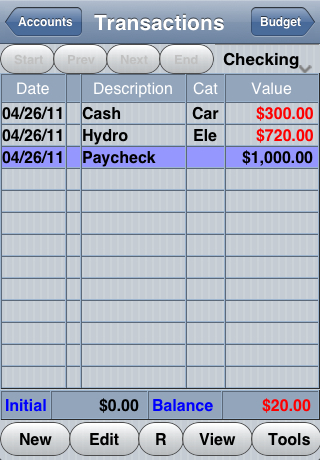 An option to keep the values up-to-date to take account of inflation is also included." "I send a tiny game program like a classic Palm OS game." The judges say: Simple, but nicely laid out. 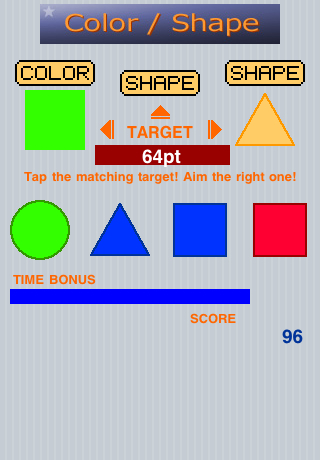 It works just like the successful Palm OS version. 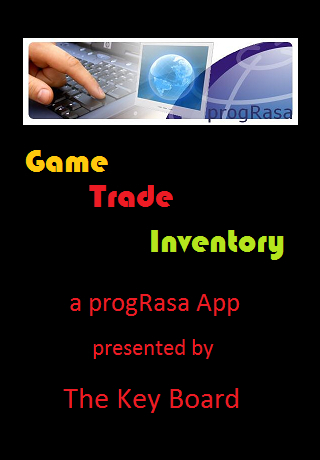 It has the potential for much improvement, using the user interface possibilities of the platform. 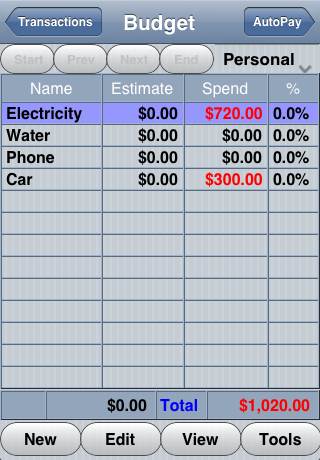 "This is an application I will be selling eventually, uses SQL to store the data and will have an export and import. 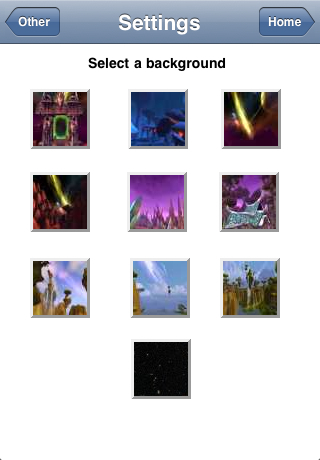 I have never played World of Warcraft but the idea was suggested by my son. He provided the data and pictures. It was only tested on an LG Ally with Android 2.2.1." The judges say: Start of a nice app. There's a lot of functionality in here already. 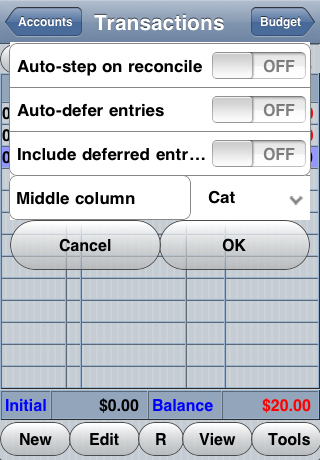 Several features are still incomplete, and the user interace could use some improvement. "This was done just to get my feet wet. It will be free if it is ever distributed. Most of the code came from a similar program in VB6 and by porting it to NSBasic a lot of time was saved. 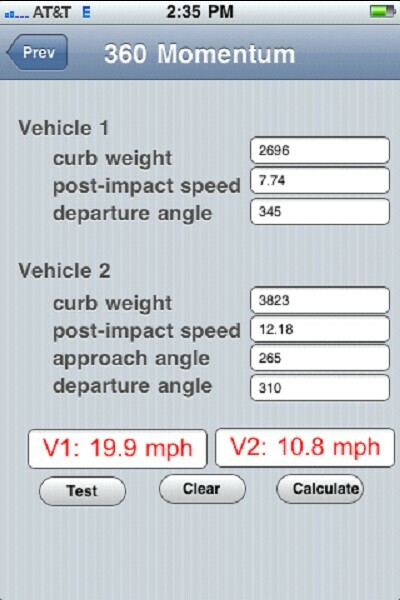 Same only tested on the Ally." 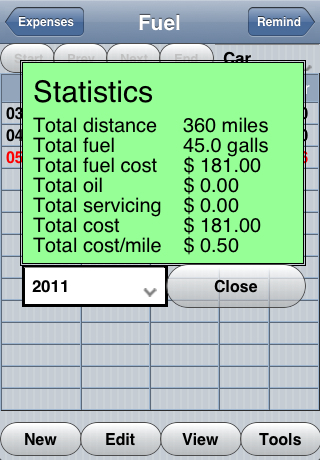 A great example of moving a Visual Basic app to the small screen. 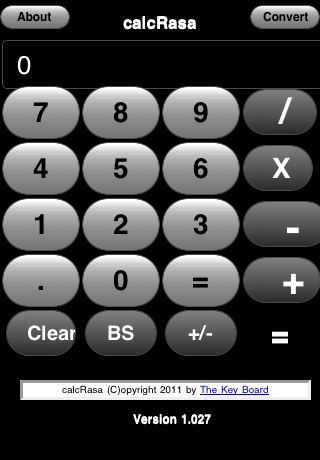 The main screen is pretty good, but the conversion screen could use some work. 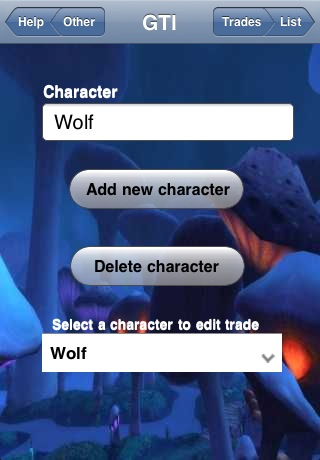 The UI could be polished.